The Vauxhall Mokka is a 2012 crossover SUV that was introduced into the marker by the British manufacturer. The range is based on General Motors’ Gamma II platform and so contains sturdy engineering with plenty of reliability. In 2016, the range received a facelift that improved the style, mechanics and interior of the model, this newer version became known as the Mokka X. With broad off road looks, the range’s size and stature means it has a dominating presence within its class, helping the model stand out among other rivals. The vehicles big build means that the interior is incredibly spacious, with quality materials that allow for a premium feel. 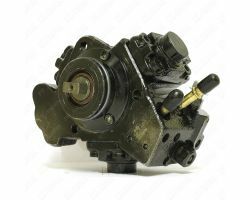 Available with an array of petrol and diesel engines, these come with different power outputs. The 1.6 litre CDTi diesel engine and the 1.7 litre diesel motor are a popular choice among buyers, as they deliver great refinement as well as a strong performance that means the vehicle is easy to drive. In all, the Vauxhall Mokka is a range that offers a solid build, interior practicality, off road style and powerful diesel engines.